The Mazda3 has been putting a smile on driver’s faces for more than a decade now. Redesigned and improved for 2017, the new Mazda3 offers you more of what you love. When it comes to compact sedans, there are a lot of choices out there for buyers looking for a spacious or fuel-efficient model. What is more difficult to find, however, is a model that combines that efficiency and that versatility with dynamic handling, performance, and an overall fun drive. Enter the 2017 Mazda3, Mazda’s renowned compact sedan and hatchback that has been putting a smile on driver’s faces for more than a decade now. Redesigned and improved for 2017, the new Mazda3 offers you more of what you love. 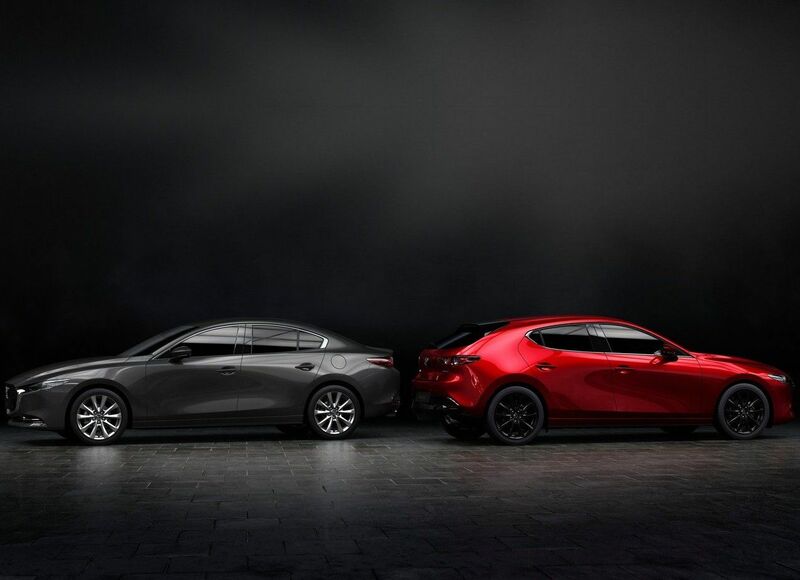 There have been a lot of changes made to the 2017 Mazda3, but the most significant is probably the addition of G-Vectoring Control, a new technology that is part of Mazda’s SKYACTIV Vehicle Dynamics suite of advanced features. 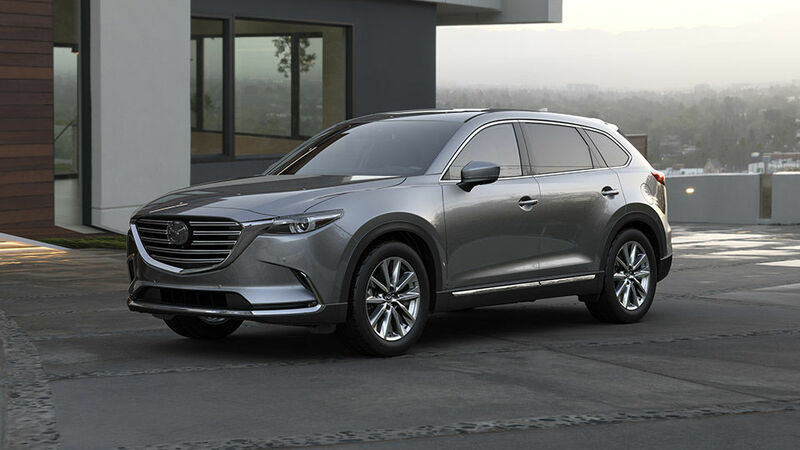 G-Vectoring Control is exclusive to Mazda and is designed to improve both occupant comfort and overall vehicle stability. The technology uses the engine’s torque as needed when cornering at low speeds in the city or on the highway. In doing so, the 2017 Mazda 3 becomes more stable, and passengers inside the vehicle won’t feel as many side-to-side or front-to-back movements. On the highway, you immediately notice that the G-Vectoring Control system improves straight-line stability and thus fewer steering wheel corrections are required to keep the vehicle stable. Other changes made to the 2017 Mazda3 include a revised front fascia, improved materials, and a more refined cabin. What hasn’t changed, however, is the engine lineup. That said, given that the Mazda3’s engines have always offered buyers a rare blend of performance and efficiency, the Japanese automaker didn’t really have a reason to redesign the vehicle’s powertrains. 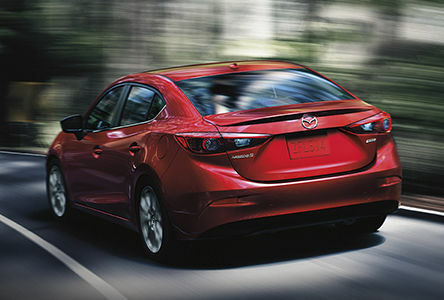 Two engines are offered in the 2017 Mazda3. The first is a 2.0-liter, four-cylinder engine that delivers 155 horsepower and 150 lb.-ft. of torque. This engine can be paired to either a six-speed manual transmission or a six-speed automatic transmission. Fuel consumption ratings with the manual transmission are certainly impressive, with a posted 8.5 liters per 100 kilometers in the city, and 6.2 liters per 100 kilometers on the highway. With the automatic, buyers get an average fuel economy rating of 8.4 liters per 100 kilometers in the city and 6.4 liters per 100 kilometers on the highway. The other engine available in the 2017 Mazda3 is a 2.5-liter, four-cylinder engine that delivers 184 horsepower and 185 lb-ft of torque. Although much more powerful, this engine still features a fuel economy rating of fewer than 7.0 liters per 100 kilometers on the highway. Not bad for a vehicle that starts at just $15,900. Better yet, there are four versions to choose from, and each will surprise you with their tremendous value! To learn more about the 2017 Mazda3, contact us today at Sundance Mazda!